This year has seen me read far less than previous years. At least, I have not been completing as many novels, but reading from wider sources I guess. You know that warning that whatever you are doing at New Year, be warned you may find yourself doing it all year? Well I began this year struggling through Kafka and I do think it may have slowed me down a little. The novel is set in the Belgian Congo. A US evangelical Baptist minister, Nathan Price, brings his family, his wife and four daughters, to the region in 1959. 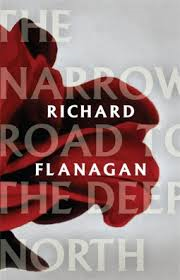 The novel tracks the family's disastrous struggles over the next 35 years. Their stories are set against the background of the region's struggle for independence from international interference. Kingsolver creates such lush imagery. You want a book set in deepest, darkest Africa, and actually experience what living there might be like for someone used to all of the conveniences of the West? Then this is the book to reach for. In all of her books, Kingsolver hones in on descriptions of nature. I don't know how she does it, but both this book and The Prodigal Summer, somehow intensified my appreciation of the natural world. The format of the story is interesting. The novel is told from the perspective of Orleanna Price and her four daughters. At the beginning I didn't much like any of them, and I don't think I felt as sorry for them as I was meant too; they all struggle to survive, not only in a physical environment they are ill prepared for, but against a tyrannical and violent husband and father. But the character development over time is excellent, and over time, each character forms in her own very different way, largely in relation to struggling with her personal demons. I should of had more faith in Kingsolver, she does a similar thing with character development in The Lacuna. The reader has to hang in there, as she lays rich foundations, that mature and come together satisfyingly. I didn't really see it coming, but by the end, I felt like the novel somehow gave more depth to my understanding of how the people of the African nations may view the West. Kingsolver holds up a mirror to the greed, sense of superiority, and hypocrisy that Africa has been subjected to over the decades from the, sometimes well meaning, Western nations. I felt gently confronted as the Price women's stories unfolded. I couldn't help but think, how would I go in these situations, and what choices would I make as a result? This is a long read at over 600 pages and it is largely a very grim tale. 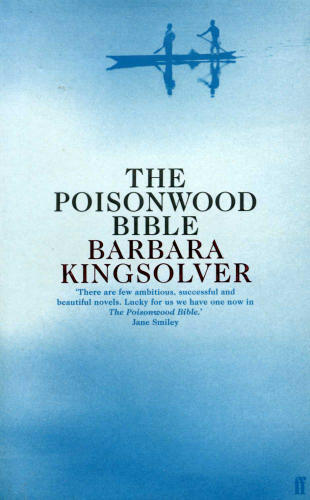 Of the three Kingsolver novels I have read so far, I would probably categorize this one as the least accessible. It really reads like a trek through a jungle filled with constant hardship. I think the nature of the story could put some readers off, and I must admit I became bogged down in parts. I am very happy however, that I persisted with the novel, my effort was rewarded. I won't forget this book, because as mentioned, I think I really did take something meaningful away from it, beyond the usual entertainment factor of a well written story. I loved this novel. It was my favorite book that I read last year. Have you read The Lacuna? I loved that one. 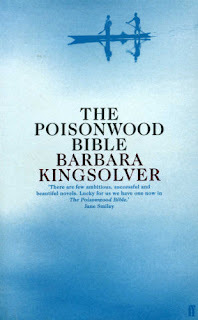 This is the only Kingsolver book that I have read but I'm really looking forward to reading another.